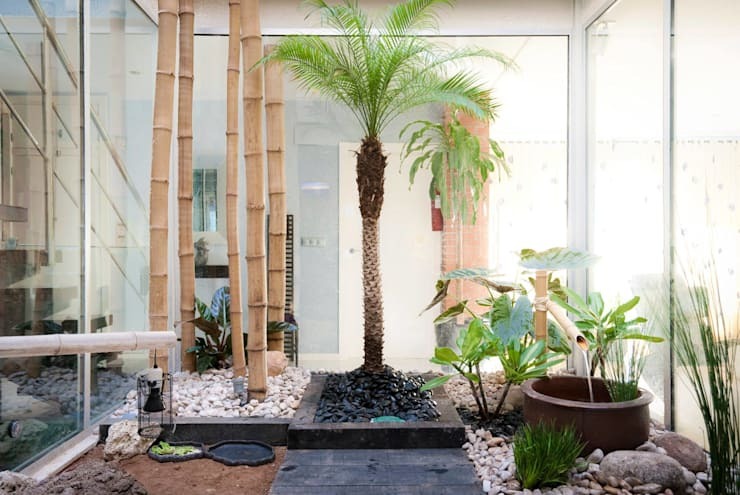 Plants are multi-functional; not only are they stylish design pieces that can promote good circulation in the room, but experts can also use them to bring good fortune to the residents of the home. 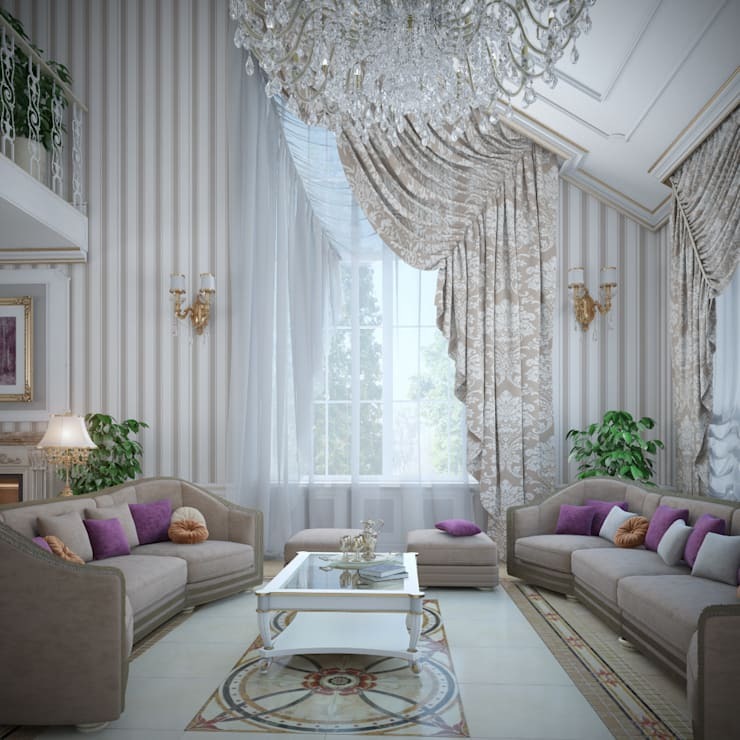 It’s one of the final puzzle pieces when creating a beautiful place to live, a step that can tie together the atmosphere of the entire residence. For many people, the selection of plants depends entirely on the aesthetics they want to create. Other factors involved also include size and maintenance. 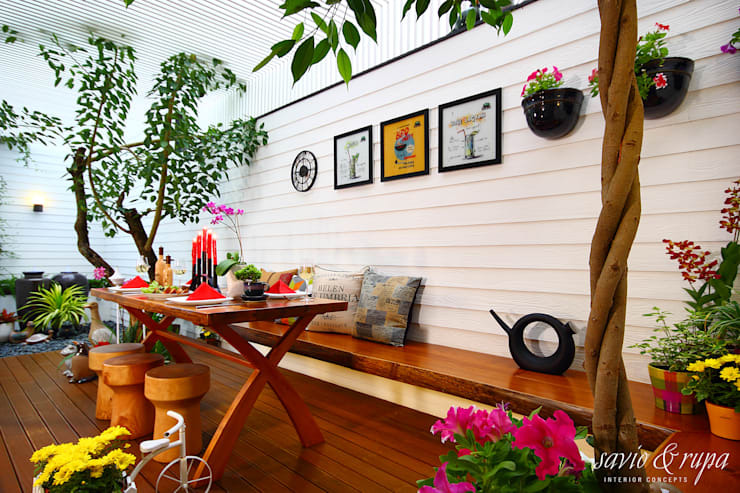 However, greenery inside the house can also attract wealth, health and love. If you’re only beginning to explore the wonders of plant feng shui, don’t fret. This ideabook offers seven pretty feng shui-friendly plants that can help you get started – as well as bring you a hefty dose of good fortune along the way. Palms, because they’re one of the bigger indoor plants around, can be the ideal room divider that also injects a bit of natural charm to the house. It’s breezy and tropical, while also wuite flexible in attracting good energy. Palms actually activate any missing or absent feng shui element in the room. 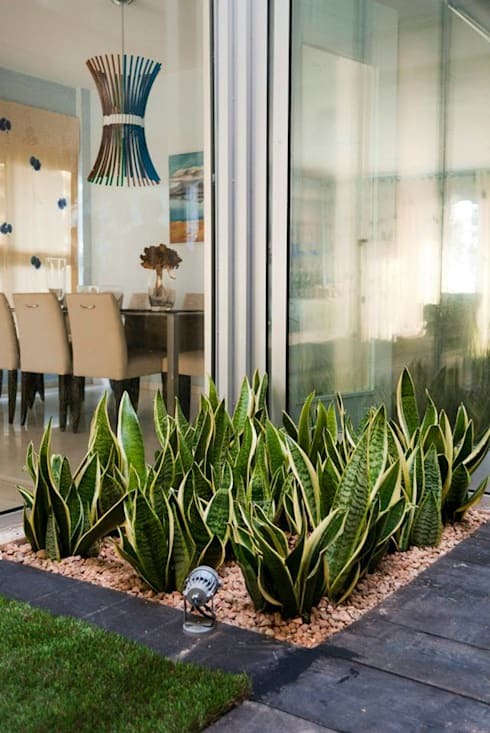 The snake plant, also cheekily known as the mother-in-law’s tongue, can be quite controversial in feng shui as there are some people that consider it a bad feng shui plant. However, when placed in ideal positions in the home or office, a snake plant can bring strong protective energy and shield the homeowners from negative Chi. Make sure you position the plant in an area of the home that’s not heavily occupied by people. The jade plant, seen rightmost in the photo above, is a succulent that is known to bring positive results in wealth and prosperity. It’s a medium-sized plant that looks good in any setting, but for feng shui purposes, it’s best to put the jade plant in the home office because of its tendency to attract money and business. It’s traditionally placed near the entrance to welcome success to the homeowner. Orchids are one of the most beautiful flowering plants around, so adding it inside the house as a design element is always a plus. However, it’s more than just a pretty face. 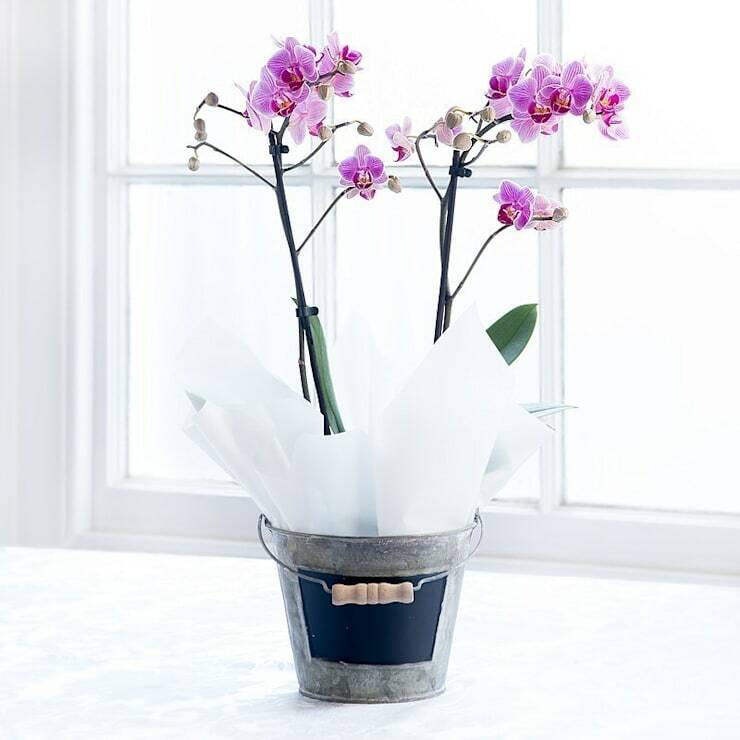 Feng shui says that orchids bring good fortune in love. It improves current relationships, but more importantly, increases the chances of attracting a new romantic partner. Another benefit of orchids: they release oxygen at night, so placing them in the bedroom can help the residents sleep better! The name is a bit misleading, since this isn’t actually a bamboo but a dracaena. 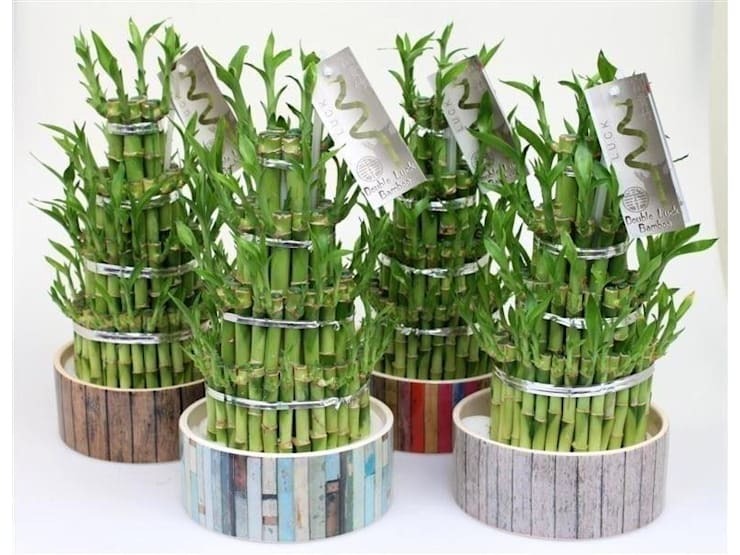 The nickname is merely a testament to the incredible fortune this plant brings as the lucky bamboo has been renowned for thousands of years for bringing peace, health, love and luck into the home. The arrangement – specifically, the number of stalks – indicates the fortune it attracts. In terms of placement, the East of the house focuses on family and the Southeast is the center of wealth, and putting the lucky bamboo in either area would be beneficial. Lucky for homeowners who don’t have the time to flex their green thumbs, this plant is pretty low-maintenance. It only needs a little light and some purified water. Rubber plants can be beneficial in any spot, but it is believed to be especially auspicious in the wealth area or even the front hall of the residence – much like the jade plant. The round leaves of the plant is known to represent money or prosperity. Distinct for its braided trunk, the money tree is one of the most popular products in feng shui. It’s a staple in any enthusiast’s home, known for ensuring luck and prosperity within the residence as represented by its eye-catching intertwined trunk. The money tree only needs to be watered every week or so. It can thrive in low-light as well so placing it indoors or under a shade outside is fine. For more tips on attracting good fortune, read Feng Shui tricks to attract money to your home.